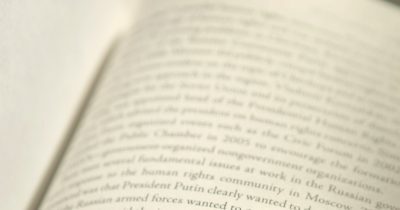 In an effort to support the writing of graduate student dissertations with a human rights focus at the University of Connecticut, the Human Rights Institute will be funding a $5,000 dissertation fellowship for the summer of 2019. Statement from Advisor / Dissertation Supervisor: Applicants should request their academic advisor, dissertation supervisor, or professor supervising their research to submit a statement detailing how the funding will advance the applicant’s research. If you have any questions please call 860-486-8739 or email humanrights@uconn.edu. The Human Rights Institute Dissertation Fellowship is open to University of Connecticut Doctoral students (ABD) in all disciplines from Storrs and the regional campuses. Applicants must have successfully defended a dissertation prospectus by time of application. What are the basic ideas, problems, works, or questions the study will examine? What is the planned approach or line of thought? What contribution is the project likely to make to the field of human rights? How does this fit with HRI’s mission? How far along is your project? What are your writing plans for the summer? 5. Include a separate statement from their supervisor on how the funding will advance the applicant's research. The dissertation project should demonstrate overall excellence with a focus on human rights issues, understood broadly. Projects should make a significant contribution to ongoing scholarly and policy debates in the field of human rights. All proposals will be reviewed and ranked by a multidisciplinary review committee chaired by the Director of the Human Rights Institute and comprised of members of the Gladstein Human Rights Committee. In “The Politics of Implementation: International Law and the Human Rights of the Homeless”, I examine how international and domestic political environments interact to affect the lives of homeless people in the United States, Scotland, and Hungary. The rights of the homeless are continuously compromised and negotiated throughout the world, as states become more likely to criminalize homelessness, rather than invest in affordable housing opportunities. Homelessness is criminalized via the adoption of ordinances that penalize people for living their lives (i.e. eating, sleeping, and camping) publicly. The lacuna in academic research on the effects of and alternatives to criminalization is especially troubling, as the threat criminalization poses to the lives and dignity of homeless people is substantial; criminalization increases the likelihood that homeless people will be subject to violence at the hands of the state and the general public. In spite of this danger, criminalization ordinances continue to be replicated across the US, and internationally. What causes variation in how states respond to homelessness? Why has Scotland elected to implement a rights based approach to housing, while Hungary is on the verge of making rough sleeping unconstitutional? In the absence of federal leadership, why has criminalization dominated homelessness policies across the United States? What role can international legal standards play in changing the relationship between the state and homeless people? In my project I rely on content analyses, process tracing, and interviewing to fully answer these questions. I conduct content analyses on successive rounds of textual data to interrogate the development of international and domestic legal norms pertaining to housing and homelessness. This strategy produces a dynamic understanding of how these norms have changed over time, while process tracing is used to identify events and strategies that catalyzed these changes. Finally, I draw on semi-structured interviews that I conducted with homeless and housing advocates in each country of interest to yield insight into how actors actually interact with these norms. The content analyses and process tracing contextualize the social and political frameworks domestic advocacy groups are operating within, while the interview data are integral to establishing how advocates strategically engage with different legal frameworks, or normative standards, when they challenge state policies. Understanding the rationale behind when and how advocates invoke international legal standards speaks to the utility of international law, and the extent to which international human rights standards are equipped to address the unique vulnerabilities of people experiencing homelessness. 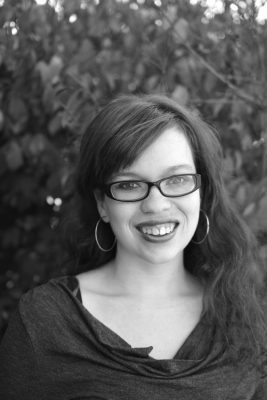 Alyssa Webb is a PhD Candidate in the Department of Political Science at the University of Connecticut. Her research interests include human rights, homelessness, housing policy, international law, norms, and civil society. You can find information about previous award winners here.